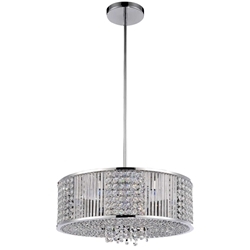 Transform your entire dining room area – or even a chic breakfast nook – with this wonderfully artistic “Gocce” crystal chandelier. The word “gocce” means “droplet” in Italian. And these bold, beautiful rain drop crystals will illuminate your table with a glow that makes you think of a fresh spring rain. 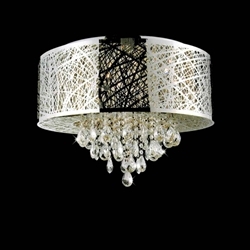 Housed inside this striking contemporary “drum shade chandelier” that can hang absolutely anywhere, the dangling Gocce crystals will inspire compliments and conversation! With our various sizes and shapes to choose from, just [Read More...] about any room is a fitting place for the transformation that happens when you install this attractive “natural-feeling” lighting fixture. You can even select the color of your drum shades! 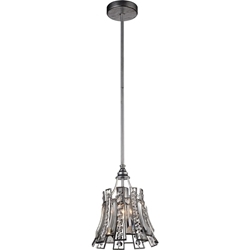 All three choices – black, white, or silver – look handsome against the chrome finish used throughout the chandelier. Just the reflecting and refracting light overhead will dazzle your guests – and make them feel enlivened, refreshed, and invigorated because of the subconscious reaction to the bold beautiful water droplets overhead. Water and Light… together… overhead. 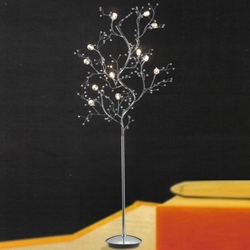 Your entire room will exude style and finesse. 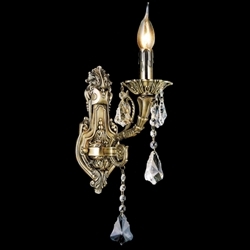 You might even have to start buying other pieces just to go with the chandelier! You might start changing your entire theme! But whatever you decide, rest assured that the quality of our products is always second-to-none. We keep product-performance uppermost in our minds – or else we don’t sell it. In fact, we only sell what we would personally put in our own homes. If a product doesn’t pass our personal criteria test, you won’t find it here. Period. Rather, we make every effort to ensure that your purchases from us will truly enhance your home and give it the look and feel of your dreams. 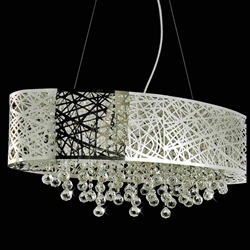 The Gocce chandelier can give any room an instant facelift. Maybe even call it a true “transformation”! 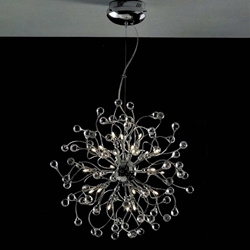 If your dining room is too “plain” right now, get ready for Extraordinary when this beautiful fixture (sized properly) is hanging from your ceiling! It will be like a whole new room. 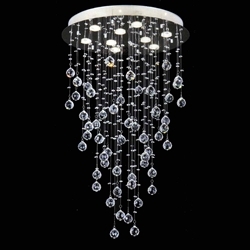 You will simultaneously make a statement and just feel good about having such a beautiful chandelier to enjoy! 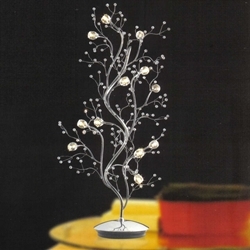 And as you’ll discover, when you buy from Brizzo Lighting, you get only the very best personally-tested products – with a wide selection of chandeliers, lighting fixtures, and indoor lights for the best in home lighting design. Be sure to check our sizing tips for getting just the right dimensions and specs for your order. 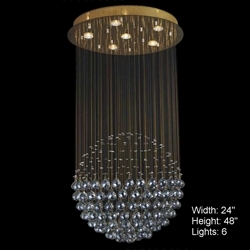 We know you’ll love the Gocci Chandelier. Order yours today! Total Height (Installed) 18" - 48"
Sales Discounts Coupons. 20% off Gocce Collection.